The University has many opportunities to hire caterers and conference venues throughout the year. The Purchasing Department has put together checklists to give general guidance for events held on or off campus. 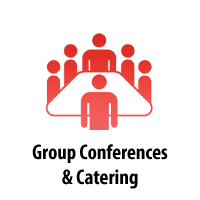 Due to fluctuating estimates, any catering or conference estimates close to or over $4000 are encouraged to be submitted through Ushop using the Catering or Conference Purchase Request form. Any estimate over $5,000 must be submitted using this form. The Governmental Entity Addendum (GEA) is a document that can be added to a vendor supplied contract. The GEA was designed to protect the University from potential contractual risks from a vendor supplied agreement. The GEA will need to be signed by the vendor as well as a VP or VP designee within a department.